Dickens’ novels, with their extraordinary characters, vivid locations and cliff-hanger endings, are perfectly adapted for TV and film. At this free lecture, Adrian Wootton will guide you through the many adaptations, as we celebrate the bicentenary of the author’s birth. 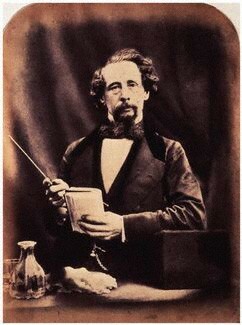 Adrian Wooton is coordinating the film and television components of London's Dickens 2012 celebrations, this includes an international film and television retrospective; co-editing a new collection of articles and executive producing a new documentary on Dickens in Film. He is the Chief Executive of Film London and the British Film Commission. Adrian regularly broadcasts and reviews films for Radio 4 and contributes articles to various newspapers and magazines, including The Guardian and Sight & Sound.